South Africa is a country of 56 million people that is rich in diverse cultures, people and natural heritage. Enjoying remarkable macroeconomic stability and a pro-business environment, South Africa is a logical and attractive choice for U.S. companies to enter the African continent. It is the most advanced, broad-based and productive economy in Africa, and has a gross domestic product (GDP) of $363.7 billion in 2010, or about one third of the total GDP for sub-Saharan Africa region. Over the last five years, the annual growth of South Africa’s GDP has averaged 3.2 percent. We provide a range of services to U.S. businesses interested in doing business in Southern Africa, as well as to South African businesses interested in importing U.S. products and services. For more information on how we can assist you in this market please contact us or contact Sifiso Twala at Sifiso.Twala@trade.gov or call him on +27 11 290 3061. 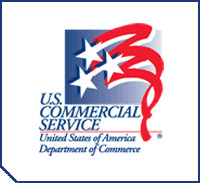 Please note that the U.S. Commercial Service programs are available throughout sub-Saharan Africa. If you’re traveling to SA soon, click here for important requirements. The U.S. Commercial Service directly supports the President’s National Export Initiative.